Brand Financial Training > Friday Five > Friday Five – Test Your Exam Knowledge Every Friday! Friday Five – Test Your Exam Knowledge Every Friday! This is a bit of Friday Fun where we provide you with 5 questions (and answers) relevant to a mix of CII exams. The challenge is for you to answer the questions in 5 minutes. 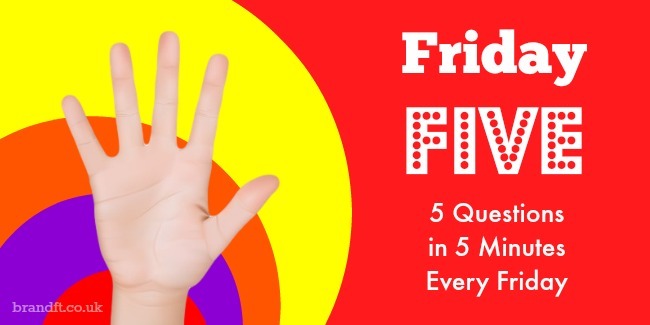 Where do I find the Friday Five? We will post each week’s Friday Five right here on our blog first thing every Friday. You can either visit our blog every Friday at https://brandft.co.uk/blog or you can simply click on the subscribe button in the top right-hand corner of this post and sign up to receive notifications of our Friday Five posts. This is just a bit of Friday Fun, but with the added benefit of testing your exam knowledge. We also love to hear from you, so do post your comments (humour welcome!) on the Friday Five post every Friday. This post was brought to you by Brand Financial Training.